Will the Sony Alpha range of DSLTs soon include a full-frame option? Ahead of Sony's widely anticipated first full-frame translucent mirror camera official announcement, several details have been leaked online. 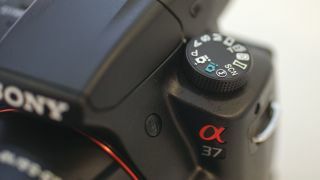 The rumours suggest that the camera will feature a whopping 102 autofocus points, of which at least 40 will be individually selectable, while the others work as focus assisting points. It had previously been suggested that the camera sensor would have a 36 million pixel resolution, the same as the sensor in the Nikon D800 (which is known to be produced by Sony). However the most recent reports suggest the number will be 24 million. This, it is claimed, will help the a99 produce low noise images at ISO 1600 and ISO 3200. Other newly leaked specs include dual memory card slots, which will allow users to send only JPEGs to one card, and raw files to the other, or stills to one and movie files to the other. There's also said to be a new flashgun with a guide number of 60. It has also been suggested that new lenses, including a 50mm f/1.4 Carl Zeiss optic and a 300mm f/2.8 telephoto lens will be announced. Photokina, the largest photography show in the world takes place in just over a month's time and would seem the most likely place for the camera to be announced. Keep watching for more this story as it emerges, and take a look at our full Sony Alpha 99 rumours page for all the latest details.